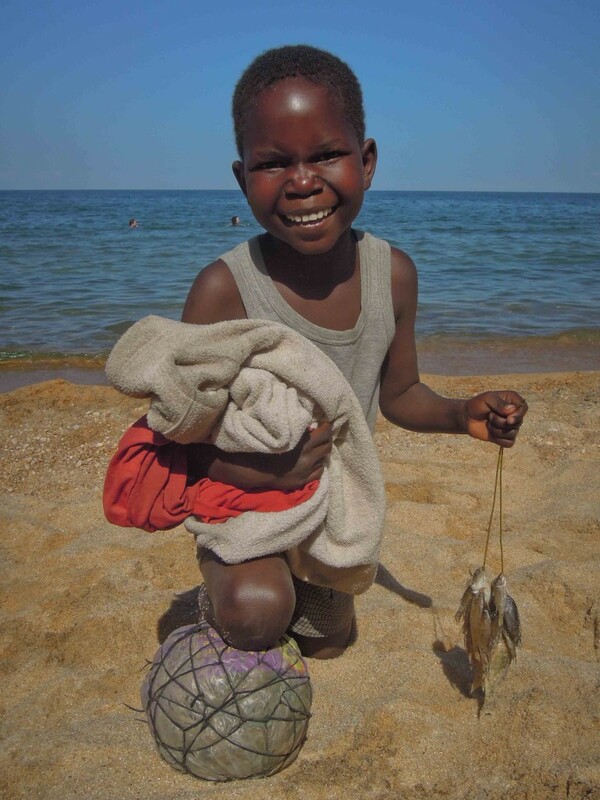 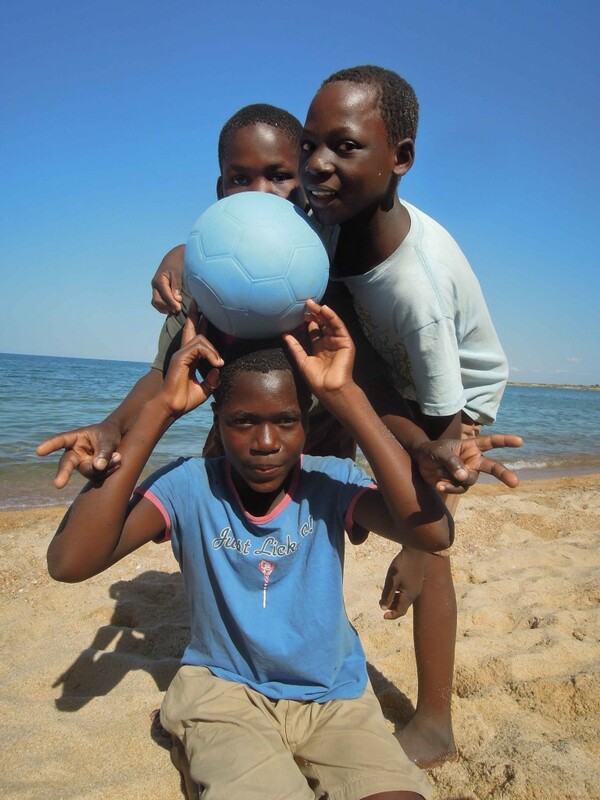 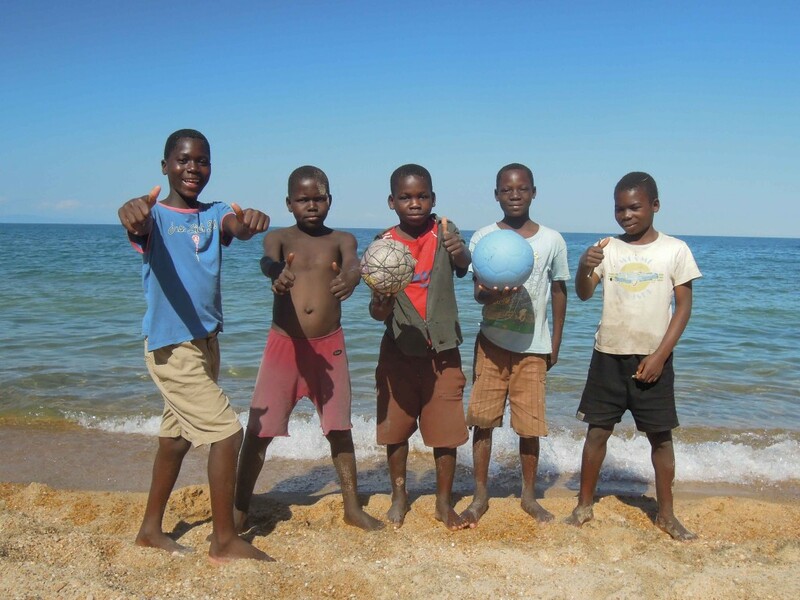 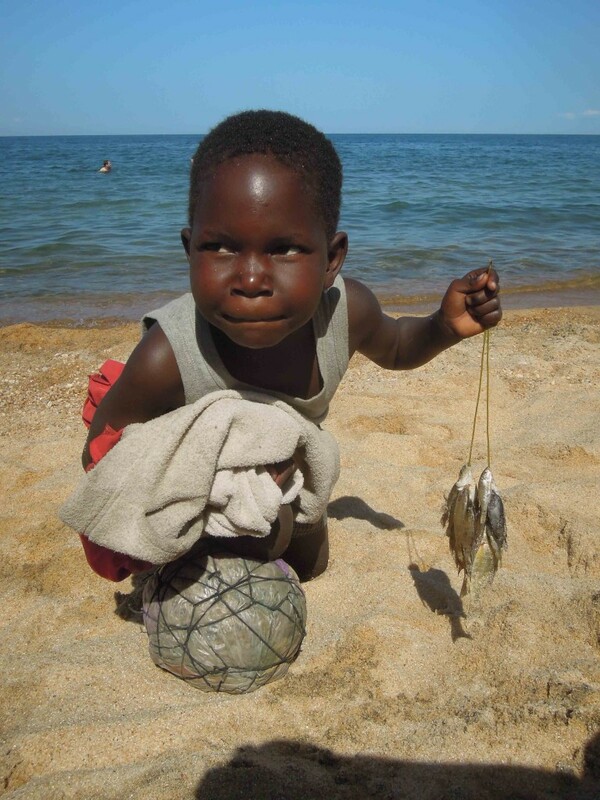 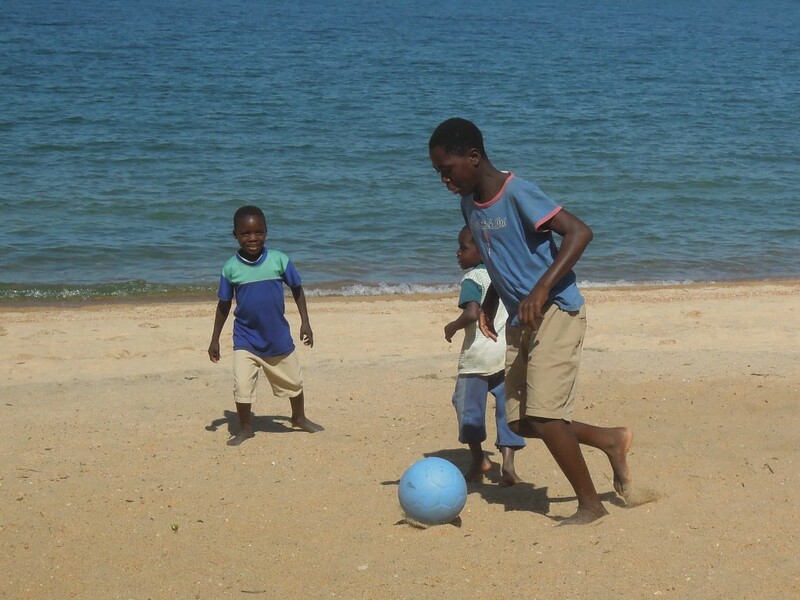 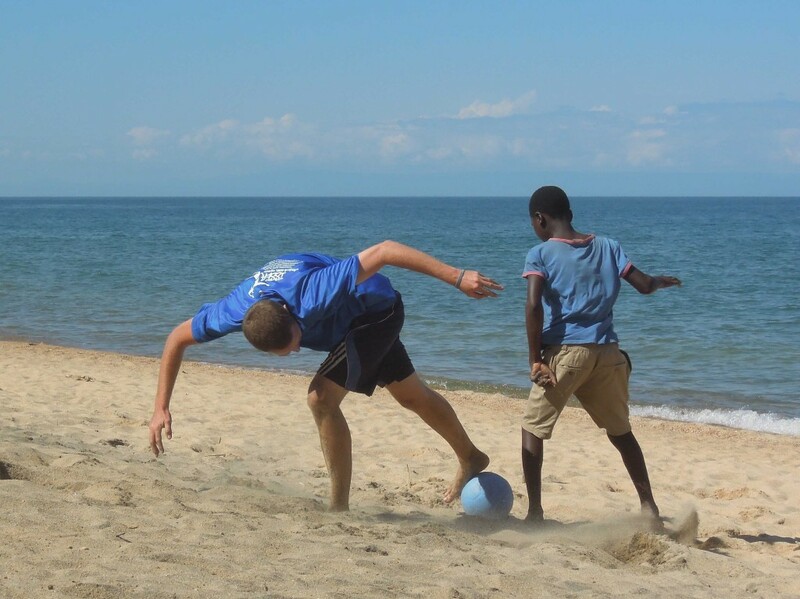 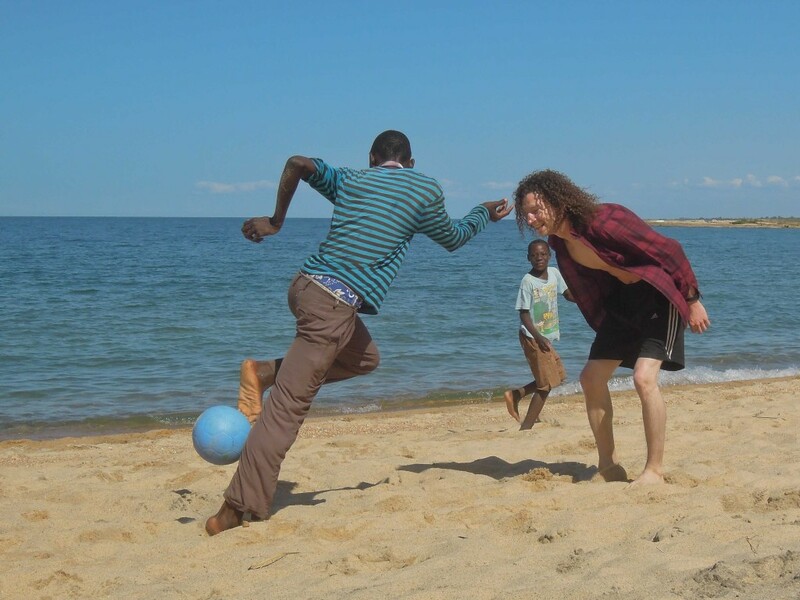 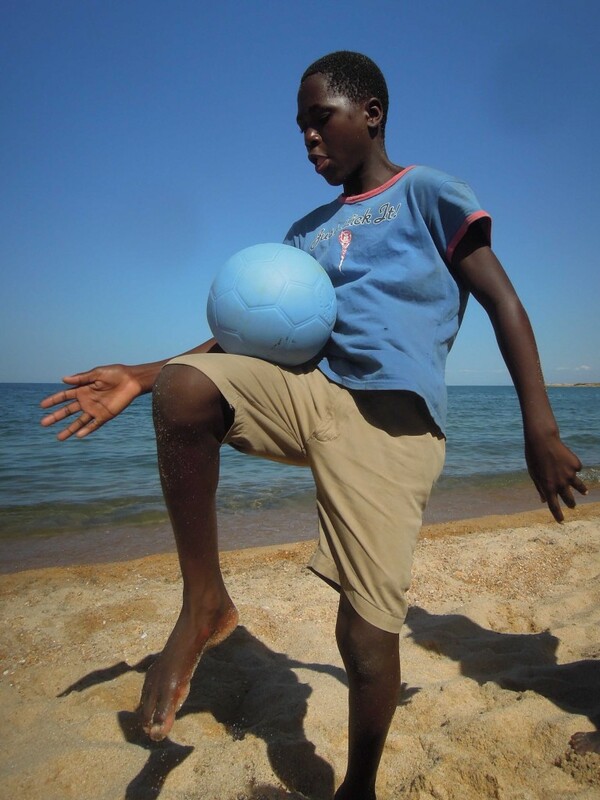 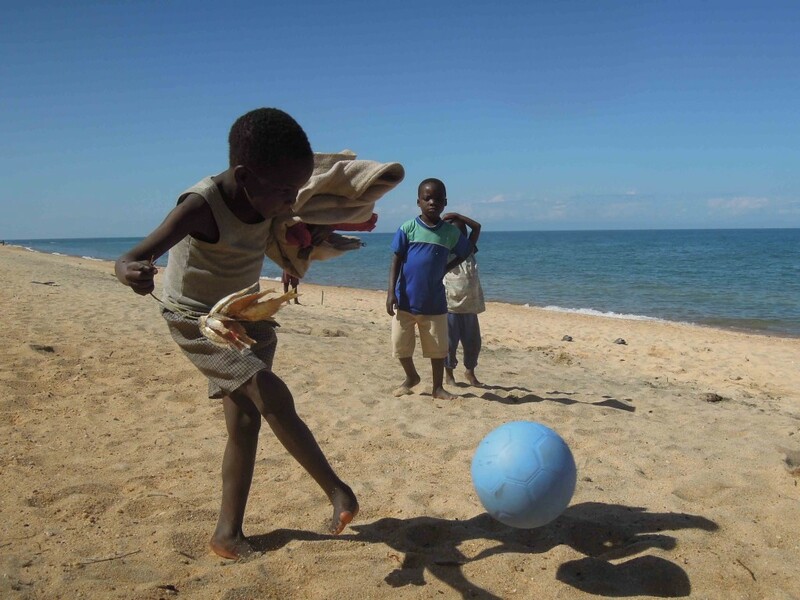 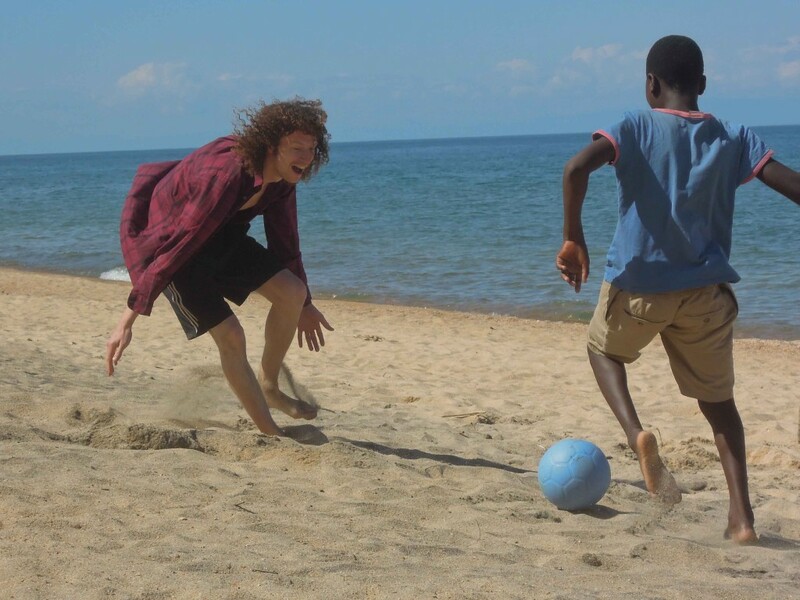 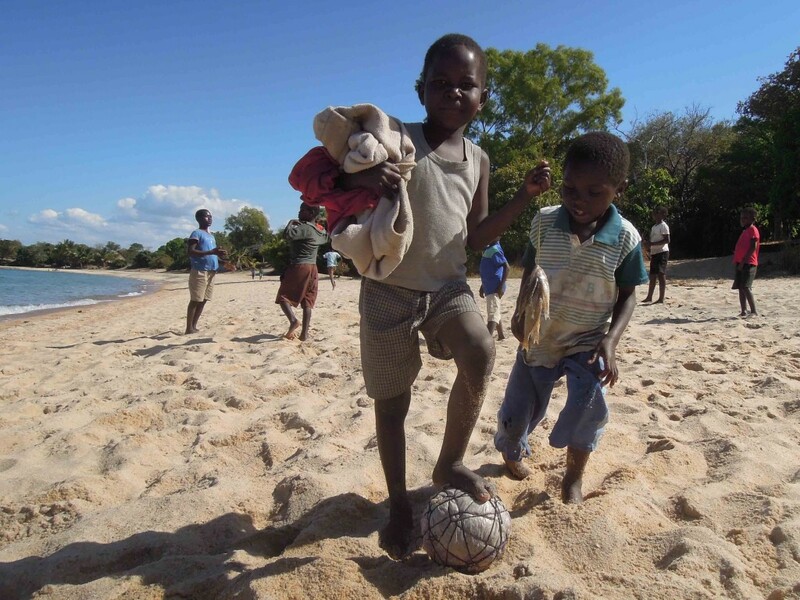 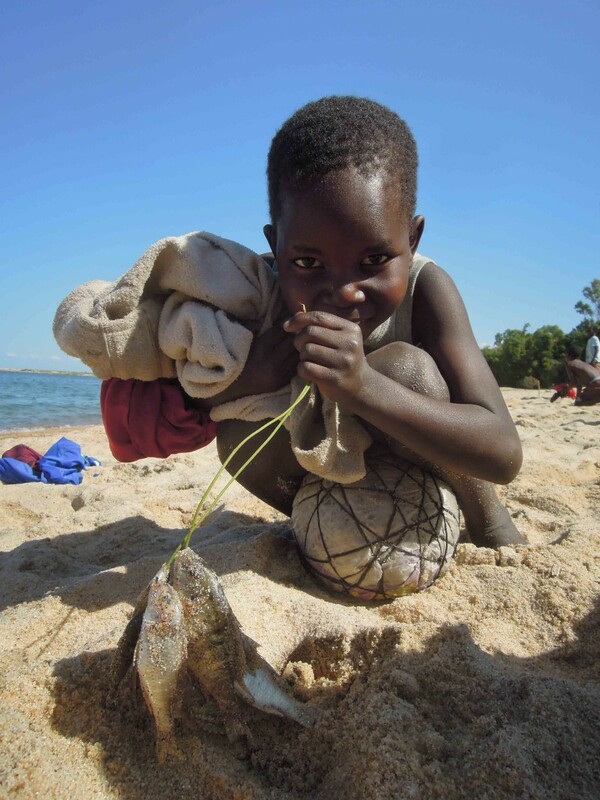 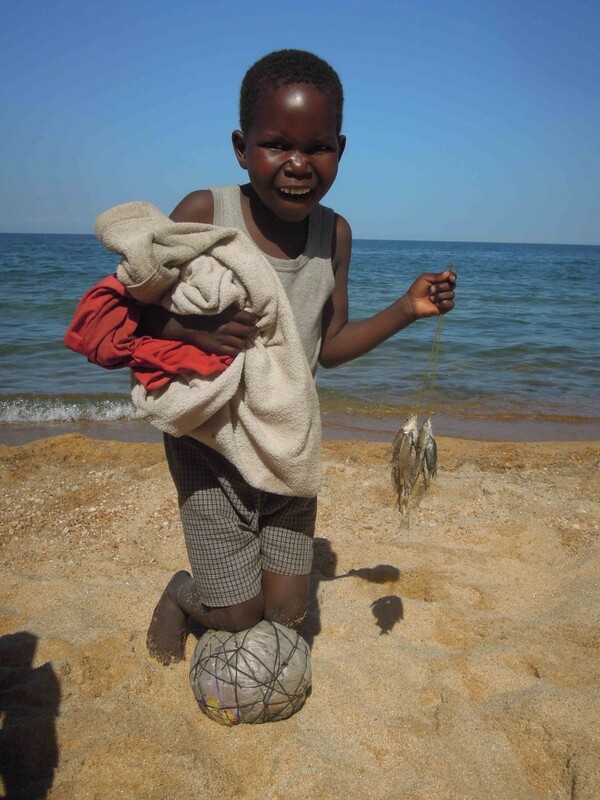 On the shores of Lake Malawi the Africa Goal team got involved in our first game on a sand pitch. 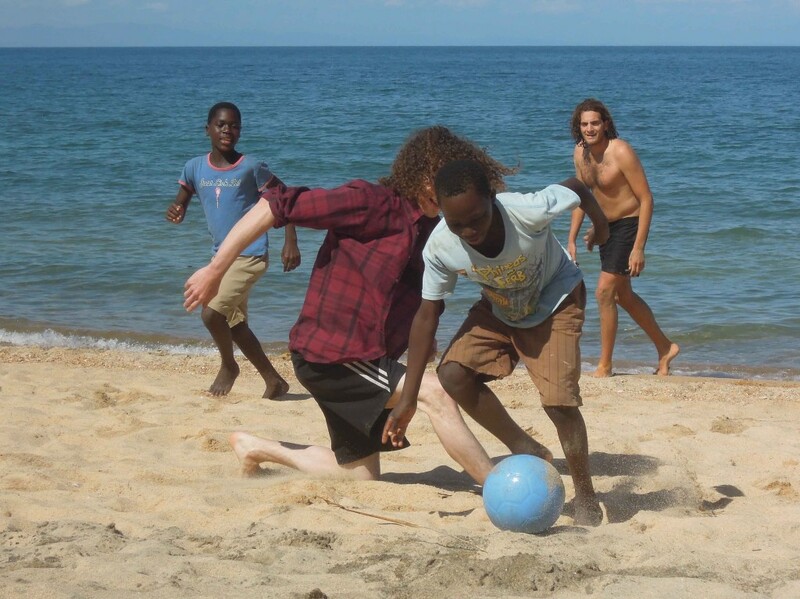 We enjoyed a fun game playing against some locals well-versed in Brazilian-style beach-soccer skills. 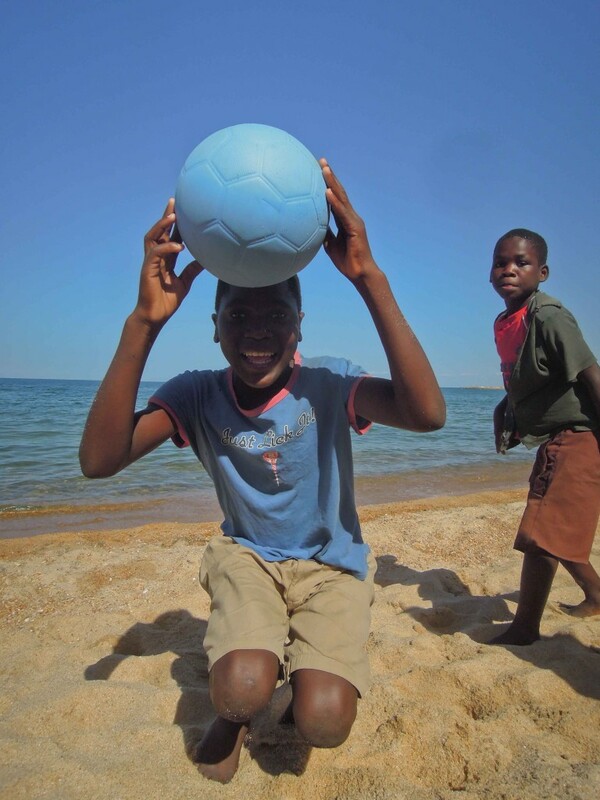 Here we exchanged one of the indestructible balls donated by One World Futbol, for the ball we had played with, which featured a condom bladder covered in plastic and string, hand-made by Yotam, 10. 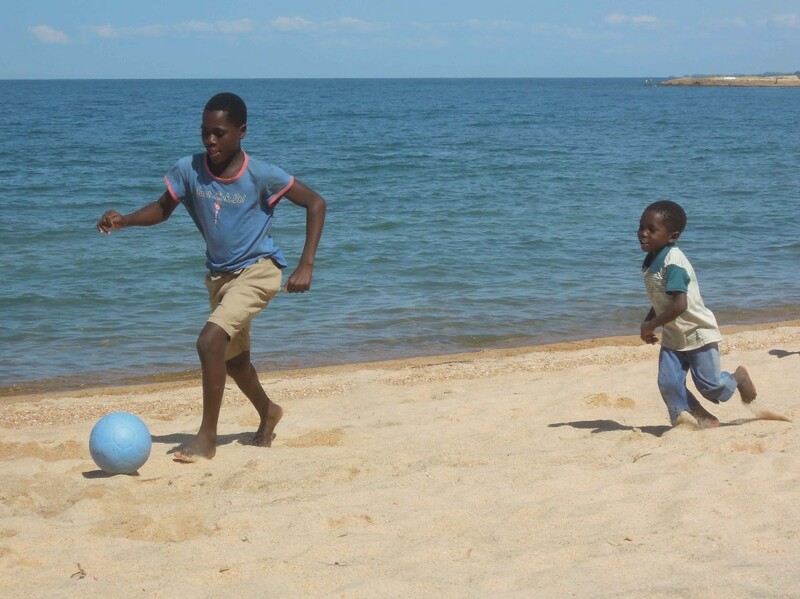 After taxing our legs to earn a 2-2 draw with the Malawians, we were more than happy to cool off in “the sweet sweet waters of Lake Malawi,” as aptly described by an immigration policeman on the way there.